It seems like we completely skipped Spring this year and are tackling Summer head-on! That means spending plenty of time outside in the sunshine, enjoying all the green space growing in your neighborhood and preparing lots of picnics. Whether you’re heading down to the lake to stay cool in the water or just spending family time at the local park, enjoying some yummy fresh sandwiches and lemonade makes Summer a blast. This Randall Bean spread for sandwiches is the perfect accompaniment to any deli meat and any style of bread. It even makes a great filling for vegetarians looking to add extra protein and fiber to their sandwich creations. Using Randall’s Pinto Beans, this mostly acidic bean spread is a thicker version of a traditional red sauce, with extra spices added to make things interesting! Don’t forget to save this delicious bean spread for later use. Cover in a large Tupperware container and keep for up to a week, or freeze it and enjoy it with some toasted bread if you decide to stay in and beat the heat. Rinse and drain the Randall Beans. 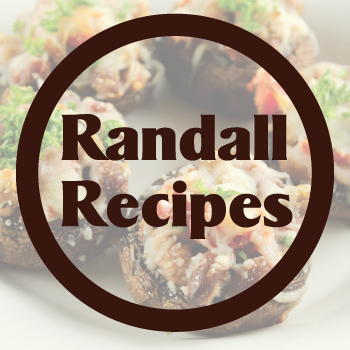 Place the Randall Beans, red pepper, garlic, and onion in the water and bring to a boil. Remove from heat, cover, and let sit for one hour. Then return to the stove and simmer until the beans are heated. Drain off the excess moisture and place the cooked ingredients in a food processor or blender with the remaining ingredients. Blend just until smooth. Add hot pepper sauce or extra ketchup if desired.